Break the ice and blow their minds! Looking for something different to spice up this year’s annual staff party or other Christmas event? Guests love being treated to close up magic because they get to take part in their own amazement! During my performance, I spend a few minutes with each small group of guests, getting them involved by borrowing their cash, coins or jewellery and making miracles happen right in front of them with their own belongings! A Christmas Party magician is fun, friendly, relaxed and completely amazing! Unlike street magician’s on television, like Dynamo, or stage illusions in a grand theatre like David Copperfield, close up magic happens right in front of you, often in your own hands – there’s no camera tricks, no trap doors and I have my sleeves rolled up! So when a pack of cards disappears from your hands as you’re holding it, or I turn your £10 note into a £50 at my fingertips you won’t believe what you’ve just experienced and you’re Christmas party magician will be the talk of the night! Drinks reception mix and mingle magic – introducing myself to small groups at a time, getting them involved in the fun! 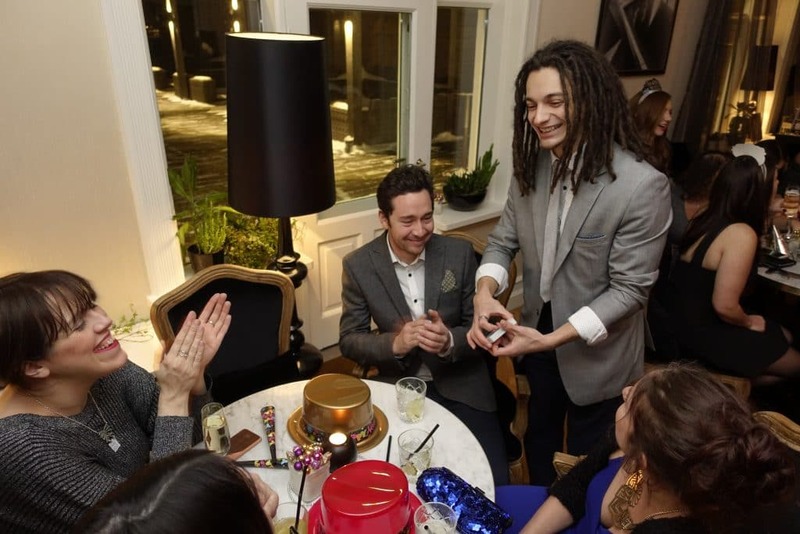 Table to table magic – keeping guests entertained in between meal courses or as after dinner entertainment doing a mini magic show at each table. 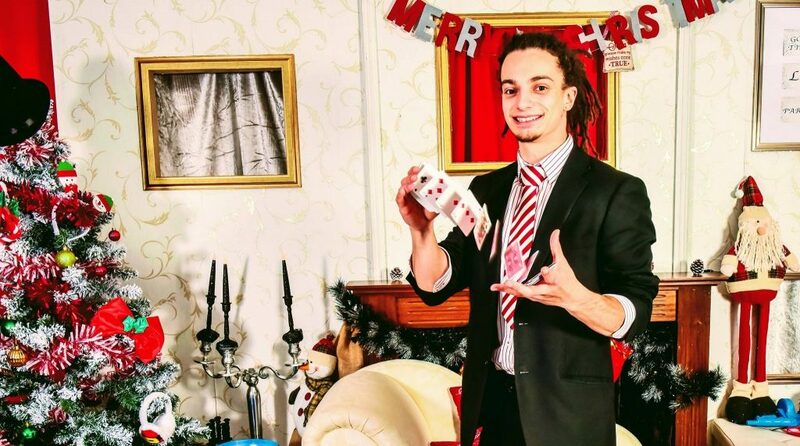 Importantly, close up magic is flexible and easy for you to organise – I arrive ready to perform and don’t have any special requirements so you can relax knowing everything is under control and that your guests will be kept busy with your Christmas party magician! November and December is one of the busiest times of year, so please do get in touch to hire me as your Christmas Party magician or New Year’s Eve magician as soon as you can for a free quote and to check my availability. Get in touch before I'm fully booked!